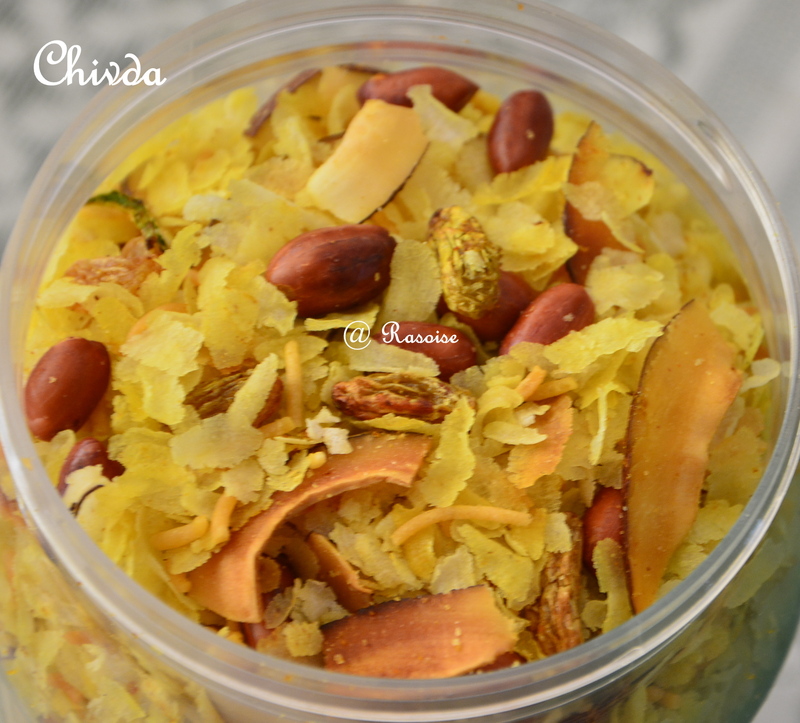 Poha Chivda is a famous namkeen / farsaan in Gujarat. It is again of two types viz thick and thin poha. Namkeen can be made of both the types of poha. The only difference is, thick poha namkeen is deep fried mixed with variety of dry fruits. 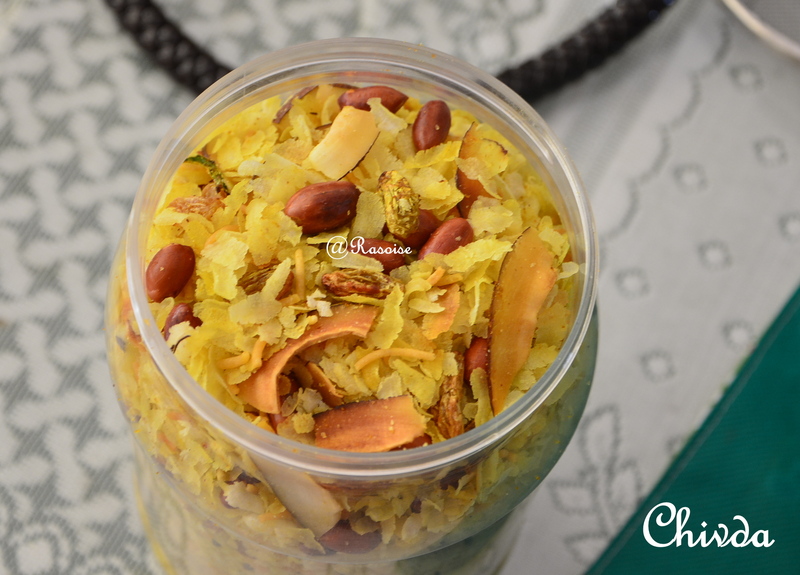 Thin poha namkeen is roasted mixed with nuts and dry fruits. 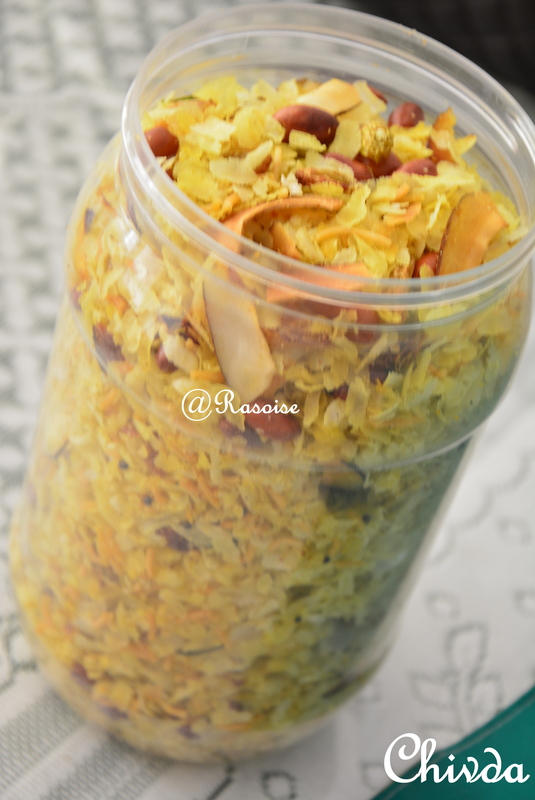 This namkeen can be stored for almost a month in an air tight container. Dry roast poha in microwave for 1 min. Heat oil in a heavy bottom wok and fry ground nuts, cashew nuts, dry coconut slices, green chillies , and raisins separately. Fry each variety separately until done and add to the roasted poha. Deep fry the raisins until they just bulge, else they will become tough. Deep fry the green chillies until they are crisp and maintain their green color. In the same oil, then add mustard seeds. Allow them to crackle. Close the flame and then add sugar, salt, black salt, chaat masala, turmeric powder and lemon juice. Mix well and add to the roasted poha. Mix thoroughly. Adjust the seasoning, if required. Allow it to cool at room temperature and then store in an air tight container. If you like our recipe leave a comment below. We would like to know your experiences as well. Or you can follow us at Facebook, Twitter and Pinterest.